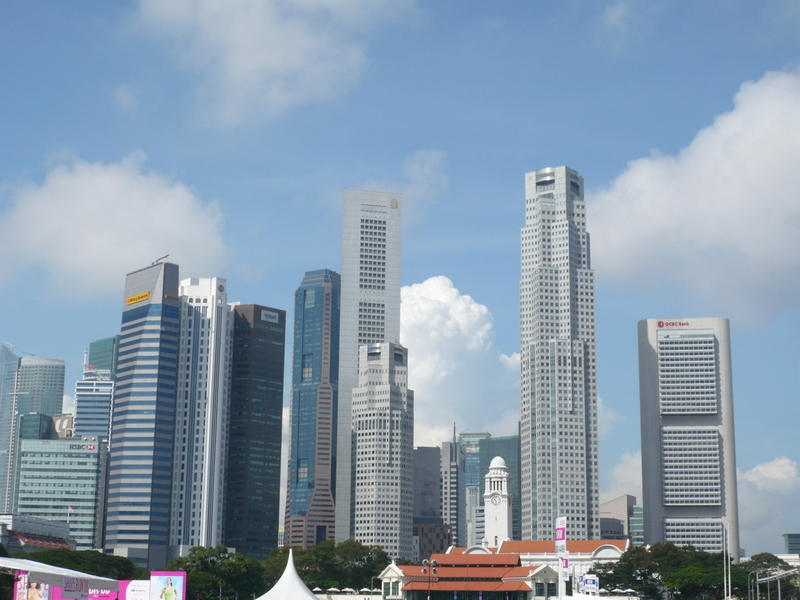 Singapore blogger Sze Li shares thoughts about her culturally advanced country. I'm impressed with Singapore's founding father, Prime Minister Mentor Mr. Lee Kuan Yew, who can take credit as to why Singapore is progressive. Clean air and water are dependent on a sustainable economy, which, in turn, is dependent on effective leadership. Today I asked Sze Li how she reacted to America's economic calamity and pending election. Well, the US financial crisis is not really affecting us. Our government enforces compulsory saving in the form of CPF. Also I am quite thrifty and don't spend unneccessary. I only spend my money on books and food, occasionally on clothes when there is Great Singapore Sales. I do not know much about those investments, so I don't invest. I believe in abundance and be positive. I have been reading lots of books on self-improvement like Jack Canfield. I think by focusing on the positive, it really helps. Also for the past few years, our government had been giving us money like $700 per year to offset the rising cost and Goods Service charge (GST), so I am quite grateful. I used those money to save and sometimes to reward myself with more books. I am amazed the Amercans voted for the Bush's adminstration. Our national newspaper reported the presidential debate and also the 'boo boo' of Sarah Palin dismal interview. Frankly speaking, I hope for change too. I do not want to see another Republican. I feel Democrats are better especially during Clinton admin. I feel that Bush is a joke. The 8 years of his adminstration brought nothing but unhappy news internationally. He insisted that Iraq war is necessary and now the bailout is necessary. But it's not. I read the news of the cowboy in USA who proudly claimed that they honoured their words. Once they settle for the price, they'll pay regardless if they didn't make profit. We understand many Americans are unhappy about the bailout. The current financial crisis is the result of irresponsible lending and borrowing. In Singapore, a person must have at least an annual income of $30,000.00 to be eligible for credit card. For those who default on payment, they'll be blacklisted and all the banks will know. Singapore blogger Sze Li contributes helpful information about what's being done in her country to help clean the air. To encourage Singaporeans to reduce energy usage, the National Environment Agency (NEA) organised the 10% Energy Challenge to all households. To qualify for the lucky draw, participants must prove that they have reduced 10% energy by showing their period A and period B electricity bills. Participants of the 10% energy Challenge stand a chance to win attractive prizes like energy-efficient household items like refrigerator, fuel-efficient hybrid car and many more. Sze Li reports clean air and clean transportation advancements in Singapore for Chasing Clean Air. In this report, we will learn how Singapore deals with traffic congestion and what we can learn to ease our own. I would like to thank Donna for giving me the opportunity to share with her readers on how Singapore’s government is improving our environment. I am writing in the capacity as a Singaporean. I will share with you how government policies have impacted my life. 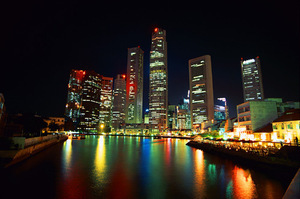 Singapore is the smallest country in the Southeast Asia with only a land area of 707.1 km², after land reclamation. It is a cosmopolitan city with four main races. In this small island, there are about four million people residing in Singapore. As in all developed world, it is the aspiration of many to own a car, but alas, if all were to own a car, there would be traffic jam. To reduce traffic congestion, the Land Transport Authority that oversees land transport in Singapore implemented the Electronic Road Pricing (ERP) which is an electronic system of road pricing based on a pay-as-you-use principle in September 1998. ERP evolved from the manual system known as the Area Licensing Scheme which was first implemented in 1975 in the restricted zone. Motorists are charged whenever they use the road with the ERP gantries during peak hours. Using a radio communication system, the ERP system deducts ERP charges from CashCards which are inserted in the In-vehicle Units (IUs) of vehicles before each journey. This scheme is effective in reducing road congestion. Looking at the success of ERP, London had also implemented road congestion charges in 2003. I would like to share the recent news that sent many drivers in Singapore driving mad but which is effective in curbing traffic congestion. 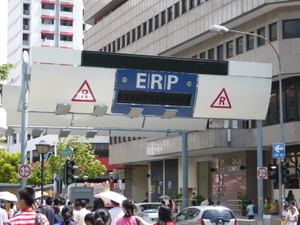 The recent increase in ERP rates and activation of five new Electronics Road Pricing (ERP) gantries along Singapore River and on 7 July 2008, the central districts of Singapore annoyed many drivers. With the rising oil prices and now the increase in ERP road gantries, many drivers are flaring their hands up in exasperation and complaining the high cost involved for owning a car. 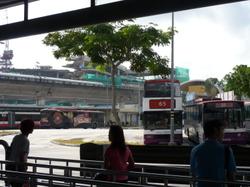 Many car owners have decided to use public transport during the peak hours to avoid paying ERP charges. In addition, some people decided to put off buying their own cars and decided to use the efficient public transport instead. Commuters are also lamenting the increasing crowd in public transport such as the Mass Rapid Transit (MRT) trains during the peak hours after the activation of five new ERP gantries. Business owners whose shops are located near the ERP gantries are complaining of the poor business taking after the activation of ERP gantries. Indeed there are pros and cons in activating the new gantries. However, the new gantries have reduced traffic congestion and have successfully encouraged many people to use the public transport. Indeed it is not cheap to own a car in Singapore. Besides ERP, there is also the Certificate of Entitlement (COE) which could cost up to S$16,000.00 depending on the motor vehicle and the bidding price. Owning a car in Singapore is a privilege for the upper middle-class and the rich. 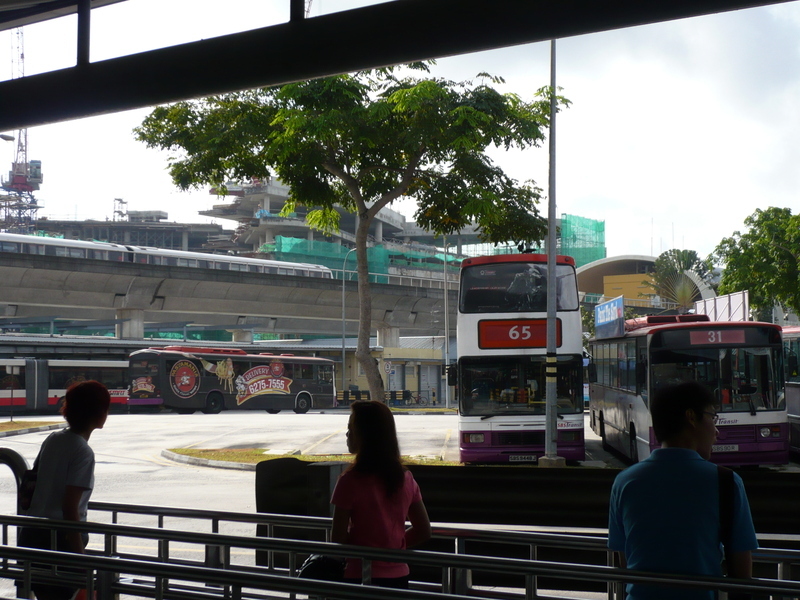 There are a total of 65 gantries around Singapore which charge the motorists for using the road during the peak hours. Sometimes, policies might not be popular with the voters, but it is effective in achieving a better environment for all. Singapore is one of the most environmentally advanced countries in the world, so I'm not surprised they got their act together and built a monorail for its citizens. Los Angeles leaders, are you listening? Here's a list of Asian countries with monorails, and links to see photos. My Singapore associate, Sze Li, attented the First Annual Global Business for the Environment Summit in Singapore last week, and the following is what she had to report, regarding water shortages and building green... initiatives underway to deal effectively. Planet Earth is 70% dominated by water, ironically, more than 1.2 billion people or more than one-fifth of the world’s population lack access to safe drinking water. I attended the session on “Tackling the Global Water Crisis” last Friday at Shangri-La hotel which brought together experts from government, NGOs and the private sector to promote conservation and development of global water resources. The moderator of the session Mr. Rod Parsley, Partner, Perella Weinberg Partners and Portfolio Manager of Perella Weinberg Oasis Fund started the session by highlighting the water crisis the world is facing and prompted the panelists on sharing their views. Singapore is using three strategies. Firstly water catchments are built to collect rainwater. Secondly, water is imported from Johor Malaysia. The last method, which is recycling waste water from sewerage and drainage, enabled us to achieve national security as it eliminates water dependence from our neighbor. The recycled water also known as NEWater is primarily used for industrial and commercial purposes like semiconductors which require ultra pure water. A small percentage is released into the reservoirs for consumption. which is facing serious drought problems. Singapore is lending its expertise in water management and recycling water to drought-stricken Queensland. One interesting discussion included if it is viable to increase water price to emphasize the importance of water. Mr. Chan said that there is a need to strike a balance in ensuring that the water is affordable yet minimizes water usage. Whereas Mr.Ibrahim Haefezur Rahman, Director from The Energy and Resources Institute said there is a need for behavior change. All panelists agree that it is essential that there is behavior change. By introducing water usage education in schools to educate students the importance of preserving water and raising public awareness. 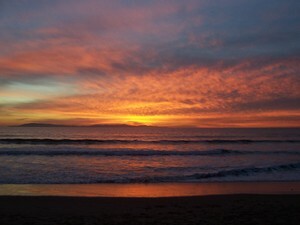 It is the responsibility of all to preserve water! Later in the afternoon, I attended “The Business Case for Sustainable Building & Construction” session. The moderator for the event was Mr.Arab Hoballah, Director from the Production & Consumption Branch, UNEP, Division of Technology, Industry and Economics. Mr.Hoballah said that Building and Construction has the second most impact on climate change after transport. is expanding its building constructions. Imagine thousand of square kilometers of area being used for construction everyday. 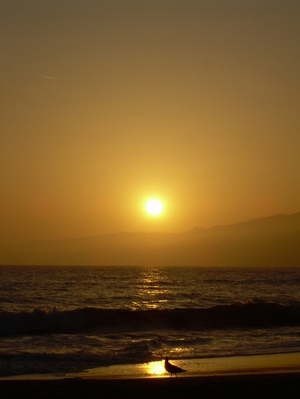 Since climate change is a global problem, there must be a global solution. Thus United Nations thus set up the UNEP SBCI (Sustainable Buildings & Construction Initiative) which is a partnership between the United Nations Environment Programme (UNEP) and the Building and Construction sector to work towards sustainable building and construction practices worldwide. There are three issues to be resolved namely the policy, financial and social issues. Firstly for the policy issue, how to define the basic benchmark for policy? Secondly, how to generate more profit while using sustainable materials as they are not cheap. Lastly, how to resolve the social issues which include reducing the noise level during construction and using more user-friendly operating procedure in construction? Dr.Milford said that it is essential that buildings use sustainable materials for increasing demand with growing population. This requires new technology and innovation to achieve more sustainable material. To achieve this objective, it is essential to include universities and non-construction researchers to explore new sustainable materials for construction. Also consideration include if it is more energy efficient and is it user-friendly to operate. There is also a need for regulation to encourage companies to adopt sustainable policy and impose sanction if they do not comply. included businessmen consulting him on how could they sustain business using environmental-friendly approaches, resolve local issues and manage fuel cost in the local context. What are the benchmarking criteria and what are the justifications for sustainability. , the public sector is taking a leap in the environmental-friendly policies. All public buildings must be certified by the Building Construction Authority (BCA). Buildings are awarded Green Mark certificate to recognize their achievement in implementing environment-friendly policies. In addition, there is a Green Mark building master plan for private sector. The government has set aside $20 millions for the GREEN MARK INCENTIVE SCHEME (GMIS) as an incentive for the private sector to adopt environment-friendly practices. For more information, you can go to http://www.bca.gov.sg/GreenMark/gmis.html. Consumers are also educated to be more environmentally-conscious when selecting homes. The public are informed of the benefits of green building such as lower electricity and utilities bills by using energy-efficient technologies. When consumers realized the benefits, they would select Green Mark certified buildings. This would motivate more private developers to design more environment-friendly buildings for increasing consumer demand. The session is concluded with all panelists agreeing that a unified framework is essential in quantifying success in achieving sustainable buildings. I'm fortunate to have an associate in Singapore who will contribute valuable information about her environmentally progressive country to this blog. Singapore is considered the number one environmentally-friendly country in the world. So Singapore is the obvious choice for the First Annual Global Summit For The Environment to be held at the Shangri-La Hotel in Singapore April 19-20. My associate will be there. She will learn what's being done, and discussed, worldwide regarding green building, the global water crisis, how to create win-win partnerships for the environment by breaking down barriers (she and I are a "small" case in point), and, she'll have the pleasure of meeting global leaders at the forefront of environmental positive change in one room. Achim Steiner, Executive Director of UNEP will open the forum with Yaacob Ibrahim, Minister of the Environment and Water Resources for Singapore (a most impressive individual for all the positive policies he has implemented), and Georg Kell, UN Global Compact will give keynote address.